How Does Plastic Make Sport Possible? At TCB-Arrow we manufacture a huge variety of plastic products for multiple industries, from the medical and hygiene sectors to the aerospace and automotive fields. The versatility of plastic means it is imperative for the development of these industries and more, however one field that is not as recognised as needing plastic in its various forms is sport. Plastic sports gear has only been around for six or seven decades, but its success exponentially increased as its benefits became recognised. But why the change from leather to plastics? The lightweight, shock-absorbing yet tough elements of plastic made it the perfect material for helmets; foam plastics can create the compressible layer on the inner of the helmet, whilst the tough outer layer of a helmet can be specifically customised for the sport it is designed for. Plastic eye protection is essential for extreme sports, it’s lightweight, transparent and nearly unbreakable factors perfect for preventing dirt, debris or weather conditions making many extreme sports possible. Even the stretchy, gummy material used to keep swimming goggles in place and waterproof uses plastic polymers. 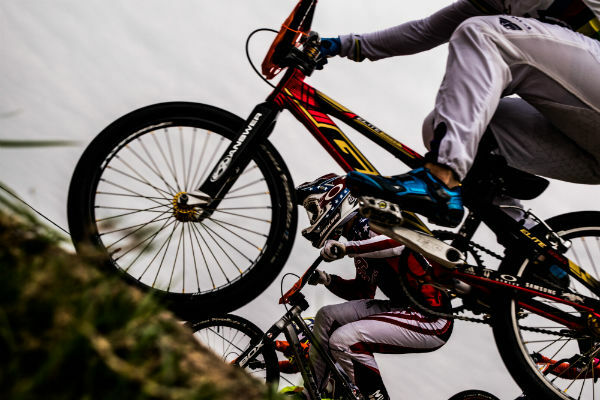 Sports such as mountain biking, BMX and freestyle stunting (on skateboards, bikes or anything else!) require proper protective padding. Athletes are constantly challenging themselves to more extreme and dangerous stunts, so plastic is simultaneously developing new plastic pads to provide comfort and safety even in the most dangerous sports. With athletes pushing themselves harder and further, their gear needs to echo this, both for optimum performance and safety. Sports gear is getting lighter, with Usain Bolt’s running shoes weighing less than an average apple. Wooden tennis rackets now in the past, the high-tech fibre-reinforced frames and tough nylon strings mean Federer’s serves can be over 150 miles per hour. Think about pro athlete swimsuits, ski-suits, cyclists’ lycra and even pro football jerseys. Each has been developed with polymers to have optimum properties for the conditions of the sport. These improvements at some points became too much: swimsuits made with polyurethane foam provided so much of a competitive edge by reducing drag and improving buoyancy that the international community now disallowed them! Although TCB-Arrow do not focus on sport-themed plastic production, we are constantly increasing our awareness on the development of plastic properties in all industries. Get in touch on +44 (0)1276 679394 or drop us an email at enquiries@tcb-arrow.co.uk to have a discussion with our expert team on what we can do for you.